Depth, dimension and Bell-like tone! These PAFs are very well balanced and extremely versatile. This set has a bright and clear neck pickup with bell-like tone. Great string-to-string balance with lots of beautiful overtones without the mud. 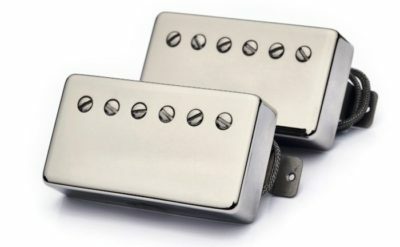 Bridge pickup has classic PAF bite, very balanced mids with a bit of power to push your amp. These have that legendary front-of-the-note PAF attack and bloom.